UPESEAT Eligibility Criteria 2019 - All the aspiring candidates must check the eligibility criteria of UPESEAT 2019 before applying for the examination. The University of Petroleum and Energy Studies (UPES) will be conducting UPESEAT 2019 for the admission of candidates to the undergraduate engineering programmes. Admission will be provided to the candidates who meet the UPESEAT 2019 eligibility criteria. The admission authority has reserved 80% of the seats for the admission through UPESEAT examination, while 20% of the seats are reserved for the admission through JEE Main 2019 or Board merit. Eligibility criteria of UPESEAT 2019 involve various factors such as age and academic criteria which needs to be fulfilled by the candidates. 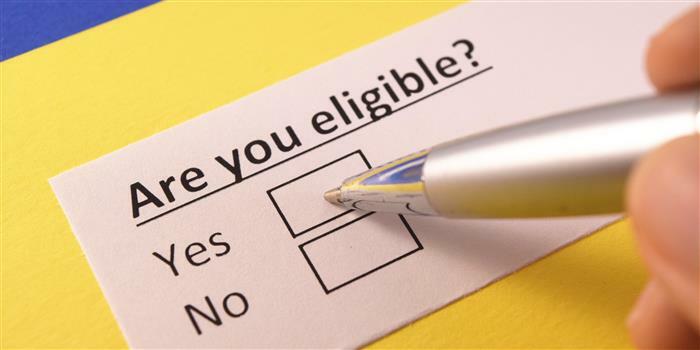 Candidates can get complete information regarding the UPESEAT 2019 eligibility criteria from this article. The admission authority will conduct UPESEAT 2019 examination from May 13 to 19, 2019 (Computer-based test only). The application form of UPESEAT 2019 has released. The application forms are available in both online and offline mode to the candidates. The UPESEAT 2019 result will be declared in tentatively in the third week of May. Age Criteria: Candidates who are born on or after October 1, 1996 will be eligible for the admission through UPESEAT 2019. Candidates’ date of birth as mentioned in the Secondary Education board or University Certificate will only be considered as authentic. Board Merit: Candidate must have secured at least 80% marks in Class 10th and 12th (or equivalent examination). An aggregate of 80% marks will be required by the candidate in Physics, Chemistry and Mathematics in Class 12th. JEE Main Scores: Candidates must have secured at least 60% marks in their Class 10th and 12th (or equivalent examination) to take admission through JEE Main. An aggregate of 60% marks must be fulfilled by the candidates in Physics, Chemistry and Mathematics in their Class 12th. The admission authority will announce the cutoff list after the JEE Main 2019 exams have completed. The admission offered by the Institute through UPESEAT 2019 is by two medium – Exam and Non-Exam. The eligibility criteria of UPESEAT 2019 for two medium is different. All the candidates who are not eligible will be disqualified. The candidates who have qualified the JEE Main 2019 will not be required to qualify the UPESEAT 2019 examination. UPESEAT 2019 Scholarships: The scholarships of UPSEAT 2019 will be offered through two channels - All India Category Scholarships and Uttarakhand Domicile Special Scholarships. All India Category Scholarships: Candidates who have secured at least 80% marks in Class 10th and 12th with 85% marks in PCM will be eligible. 50% waiver on the tuition fee will be provided on 10% seats in each program in the first year of CBSE, ICSE, or state board pass out students. Scholarships will be renewed if the candidates secure SGPA of 8 out of 10. Uttarakhand Domicile Special Scholarships: Candidates must have secured 80% marks in Class 10th, 12th, and PCM. Total of 150 toppers of Uttarakhand will be considered for the scholarships. Merit order allotment would be 1 seat per program. 15% reservation of the seats under this program will be reserved for the Uttarakhand Domicile students. Candidates must present "Sthai Niwas Praman Patra" (Permanent Residence Certificate) to avail the scholarship under this scheme. Also, the candidates can avail the scholarship either through Uttarakhand Board Merit or Uttarakhand Domicile Category. UPESEAT 2019 Application Form: The application form of UPESEAT 2019 have been released from September 14, 2018 in both online and offline mode. Candidates who wish to apply for the examination must fulfil the eligibility criteria in order to proceed forward. Candidates will be required to fill in the required details in the application and proceed to fee payment gateway after which the form will be submitted. Candidates can also apply for the examination in an offline mode and then the payment has to be made through Demand draft.